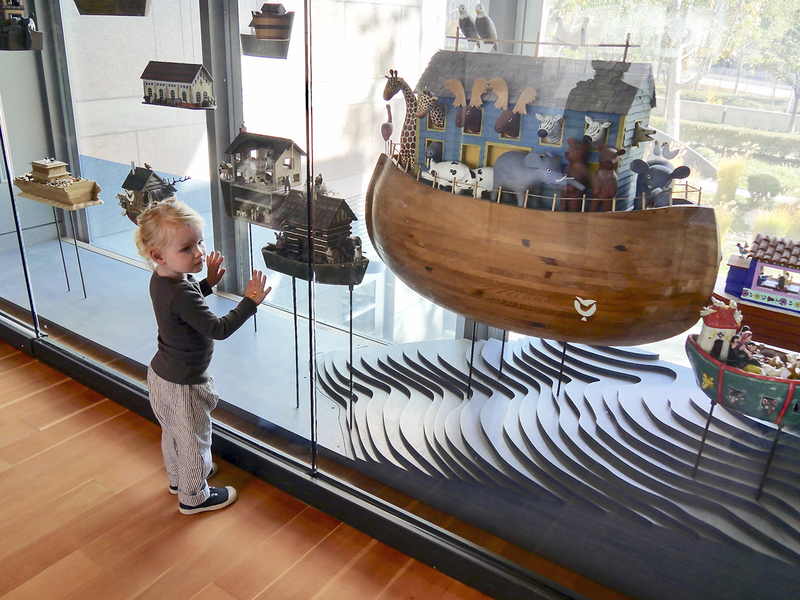 Noah’s Arc at the Skirball Cultural Center is located in the Santa Monica Mountains, close to the Getty Center. 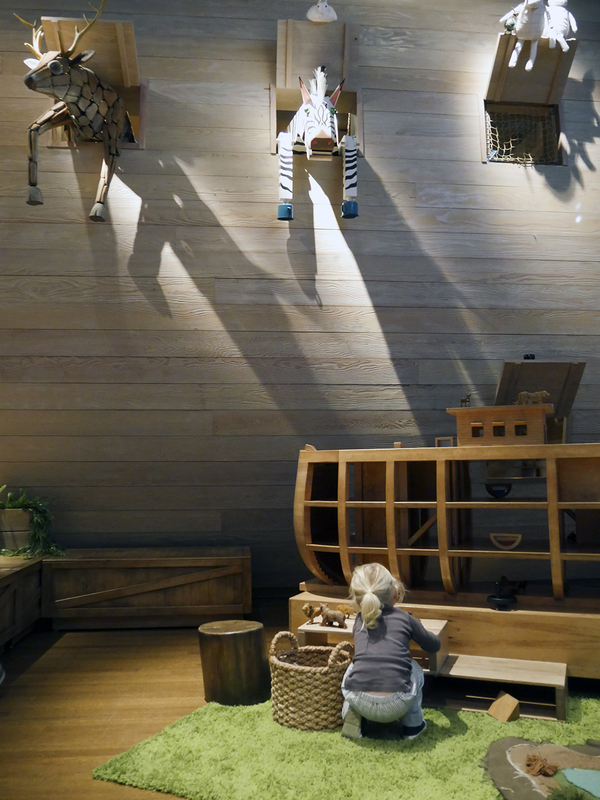 It’s an interactive “playground” themed after the story of Noah’s Arc, where children become part of the experience by bringing the story to life themselves! 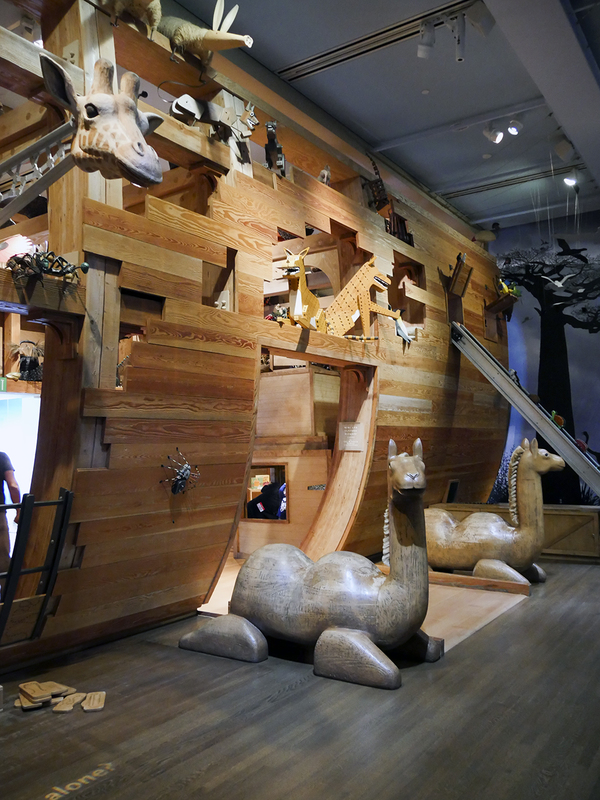 Children can climb, operate and pretend play on the large vessel of Noah’s Arc. 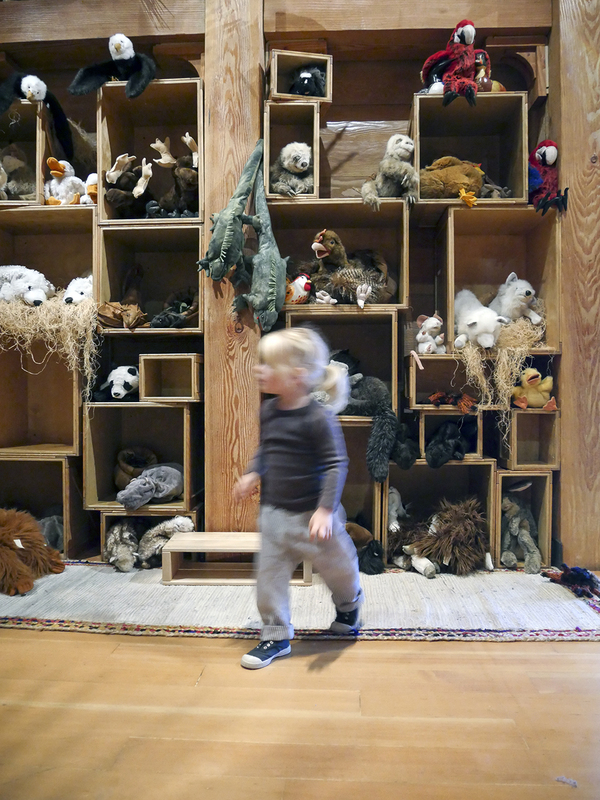 Its a beautifully, beautifully crafted space and a celebration of play! 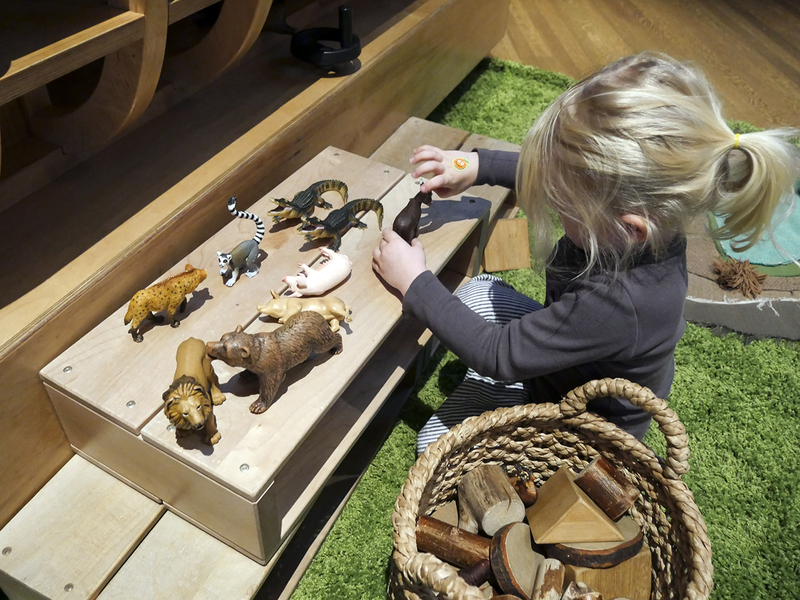 Children can load up animals onto the wooden arc with a large conveyer belt and then step inside to explore the animals, climb the arc or prepare food for all the hungry animals on the vessel. The inside of the arc is a ropes course with a series of tunnels, suspension bridges, catwalks and climbing areas. 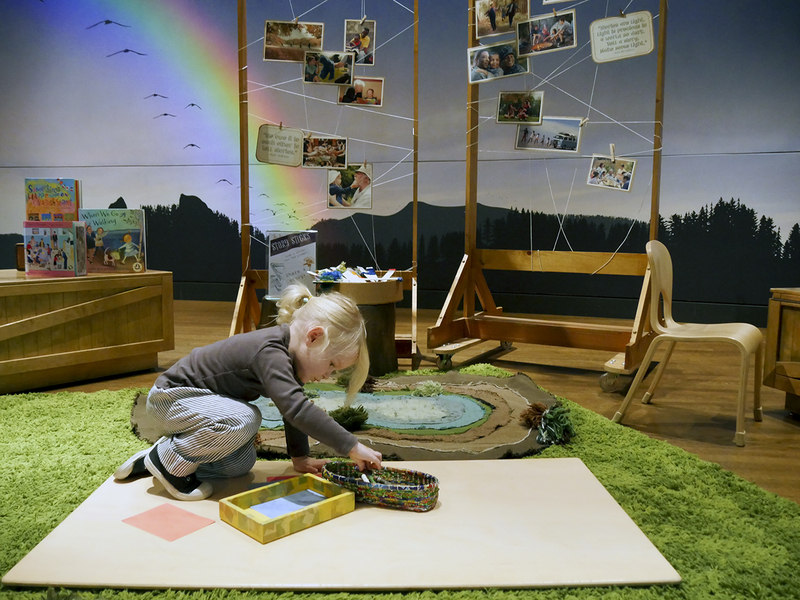 Children can also create the weather by turning on a storm and thunder sounds. 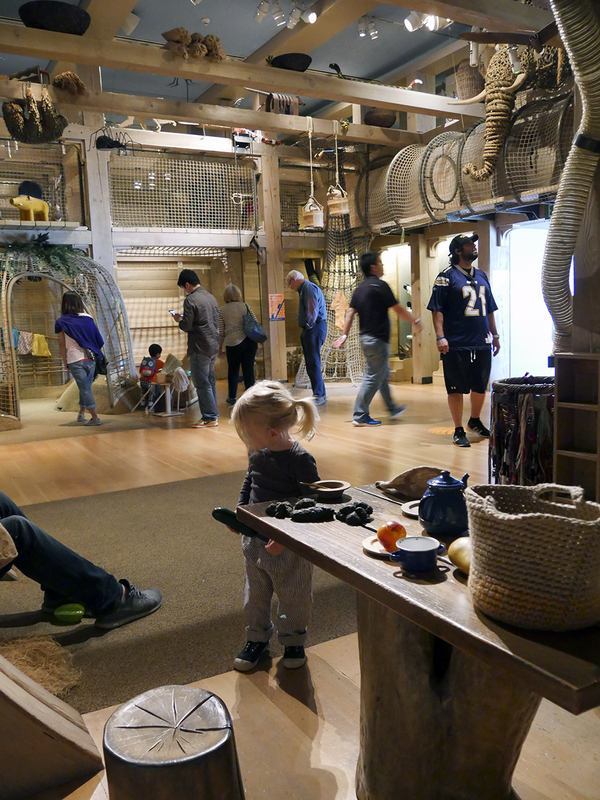 The ship and the animals are a collage of different arts and artists coming together to create this beautiful space. “Kinetic Sculptor” Chris Green, hand carved wooden animal heads by Eric Novak and fabric “skins” by Erin Wilson are some of the creations that will be appreciated by adults, too. In addition, almost everything in this space is constructed from repurposed and recycled materials! Advance tickets are highly recommended on weekends and during school holidays, for members too. They only allow a limited number of visitors into the exhibit at a time for a full and better visitor experience. Can’t complain about that! The tickets are “timed”, meaning there is a specific time you’ll be admitted and a specific duration of time you can stay. Children under two don’t need advance tickets. All children must be accompanied by an adult, at all times. The minim adult – child ration is 1 – 4. You can download a mobile app, An Ark for All, for free before your visit via the App Store and on Google Play. 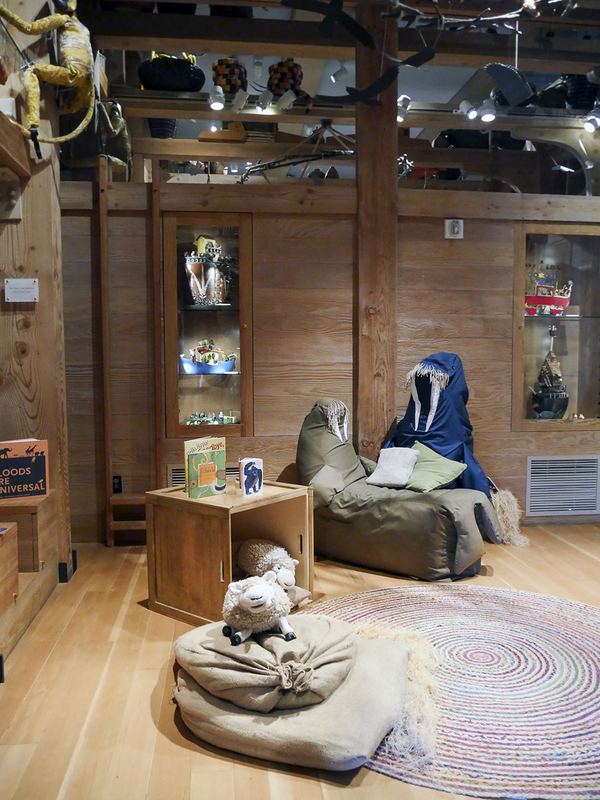 Noah’s Arc at the Skirball is open Tuesday – Friday 12:00 – 5:00 pm. On weekends, the hours are 10:00 am – 5:00 pm. Free parking is available in the North Parking and East Parking garages. The Skirball Center in general is an educational institution devoted to sustaining Jewish heritage and American democratic ideals.